Do you wonder if your teenager is being bullied or is bullying someone at school? You may be right. According to a 2001 study by the American Medical Association, almost 30% of American teenagers are involved in school bullying. They are either being bullied, are doing the bullying, or both. (1) Below are some helpful tips for parents of teens who might be involved in bullying. Come home from school with damaged, ripped, or missing clothes, books, or other possessions? Have cuts and bruises that are not explained? Hardly ever hang out with other teens? Seem afraid of going to school, whether it be walking to and from school, riding the school bus, or taking part in school activities with other teenagers? Walk a roundabout way to or from school? Seem no longer interested in schoolwork or have falling grades? Look upset when he or she comes home? Complain often of headaches, stomachaches, or other physical problems? Have trouble sleeping or suffer from bad dreams? Not eat as much as normal? Appear anxious or lacking in self-esteem? 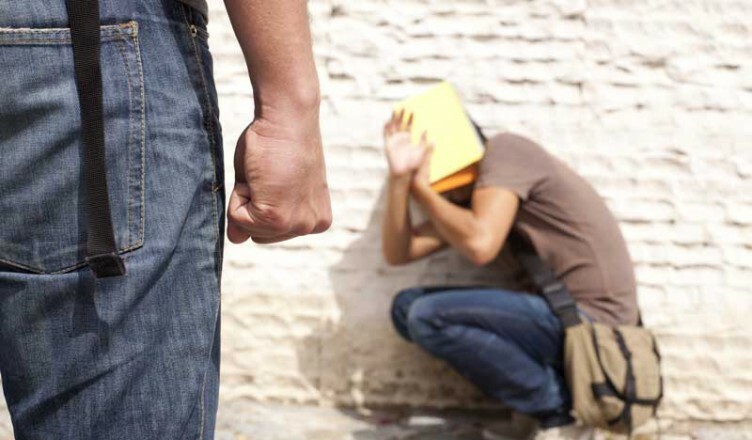 Is Your Teenager a Bully? Younger teens are more likely to bully or be bullied than older teens. While both boys and girls say others bully them by making fun of their appearance or the way they talk, boys are more likely to be hit, slapped, or pushed. While teenage boys pick on both boys and girls, teenage girls usually only bully other girls. Behave in a domineering way? View violence or aggression in a positive way? Their parents don’t show warmth and are not involved, seeming indifferent. Their parents are too permissive. The children are not supervised. Discipline, when it occurs, is harsh – involving yelling and name calling – and physical. Bullying goes on in the home. Ask your teenager if he or she is being bullied at school. Create a tighter bond with your child. Be aware of your own behavior and aggression. Provide good examples of conflict resolution. Encourage independence in your child. Show that you’re concerned and quickly take action whether your child has been bullied or has been accused of doing the bullying. Offer advice for dealing with bullies (for example, suggest that your teenager hang out in more public places). Make it clear that you will not tolerate bullying behavior. Involve the school if abuse continues. Nansel, T.R., et al (2001). Bullying behaviors among U.S. youth: Prevalence and association with psychosocial adjustment. Journal of the American Medical Association. Bosworth, K., et al (1999). Factors associated with bullying behavior in middle school students. The Journal of Early Adolescence. Kumpulainen, K., et al (1998). Bullying and psychiatric symptoms among elementary school-age children. Child Abuse & Neglect. Olweus, D. (1995). Bullying or peer abuse at school: facts and intervention. Current Directions in Psychological Science. Shea, S.E. (1996). What to do about bullying. Contemporary Pediatrics. Hodges, E.V.E. et al (1996). Victimization is never just child’s play. National School Safety Center News Journal. Olweus D. (1992). Bullying among schoolchildren: Intervention and prevention. In: Aggression and Violence Throughout the Life Span. London: Sage Publications.